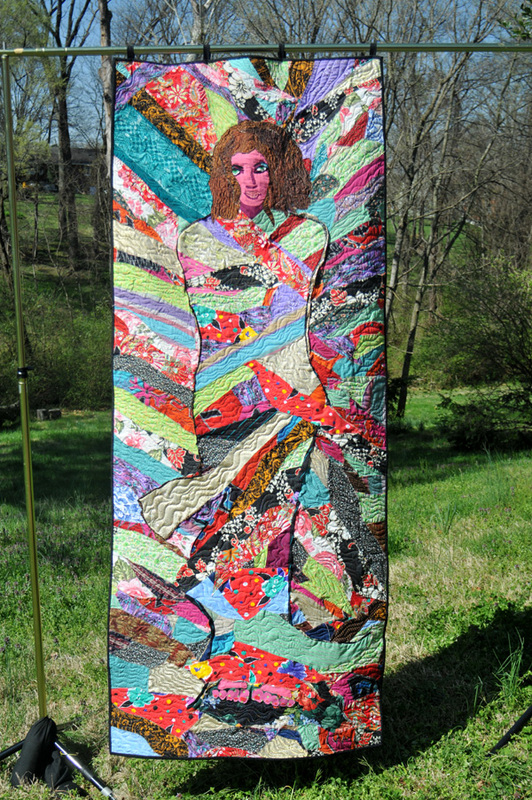 So in the late 80s, I was introduced to Phyllis Bowman-Butler’s wonderful painting, which she calls “Prisoner of Pretty.” I knew then that it must be interpreted in quilt form. She agreed, but made me promise to be the one to do it. Well, wonder of wonders, I finally got it finished. And it’s gonna be a part of the Tennessee Women’s Theater Project celebration of “Women’s Work,” in May. More about this later, beloveds. This photo is by my great good friend Susan Adcock. Find her at Pitcherlady.com and CarnyDog.com.